For quite some time, I’ve been writing in GPS World magazine and speaking at conferences about the declining prices of high-precision GNSS receivers and how the cost of high-precision data (especially vertical) is going to decline substantially. For my colleagues in Asia, Africa, Europe, and South America, you’ve already seen this. Dual-frequency, multi-constellation GNSS receiver prices in those areas are significantly lower than in the United States and Canada. Previously, I’ve presented to you that I think dual-frequency (L1/L5), dual-constellation (GPS/Galileo) GNSS receivers will be inexpensive in the future. My reasoning, simply, is that L5 is an open signal (legacy L2 is not) and supported by both GPS and Galileo. Furthermore, both GPS and Galileo use a CDMA radio technology, so designing a GPS/Galileo receiver is a heck of a lot easier than a GPS/GLONASS receiver. Therefore, unlike today’s GNSS receiver competitive landscape of only a dozen or so manufacturers of high-precision GNSS receivers, there will be dozensssss (emphasis on s) and maybe hundreds of high-precision GNSS receiver manufacturers, based on oodles of L1/L5 GNSS chipsets that are sure to come. Will all GNSS chipset designers decide to expend the extra energy it takes to optimize their chipset for RTK FIX or Float solution? No, but certainly there will be “boutique” GNSS chip designers that will specialize in high-precision designs. It likely won’t be the companies selling a $3 GNSS chip to Apple or Samsung today. Those companies rely on selling tens (or hundreds) of millions of GNSS chips per year. I’m talking about companies that can survive on selling hundreds of thousands of high-precision GNSS chipsets for $50-100 each. However, Galileo is still at least two years from a minimal usable constellation and the GPS operator, the U.S. Air Force, is in no hurry to launch GPS satellites with new capabilities (for example, L5) — so low-cost, high-precision GNSS chipsets are still a couple of years away. If this is the case, then why are high-precision GNSS receiver prices declining in some areas today? As I mentioned before, our colleagues in Asia, Africa, Europe, and South America are already seeing lower-cost high-precision GNSS receivers. There are brands offered in those geographic regions that aren’t known (or are very little known) in the U.S. and Canada. Brands like Stonex, FOIF, BHCNav, CHCNav, and others market themselves outside of the U.S. and Canadian markets, but not much in the United States or Canada. The increased competition in those foreign markets has driven high-precision GNSS prices down. The CHC booth at Intergeo 2012. The reason high-precision GNSS prices are still high in the U.S. and Canadian markets are because it’s still primarily a Trimble, Leica, Topcon game. Yes, there are other brands like Ashtech/Spectra-Precision, SXBlue, Javad, Sokkia, Hemisphere, Altus, and Navcom, that may offer entry-level entry points, but the Big Three still dominate the U.S. and Canadian markets, partly because of their broader product lines and mostly because they have the best network of dealers. Differing from the others in this mix is Navcom, a subsidiary of John Deere & Co. Navcom’s GNSS technology is distributed by Deere & Co, and is focused almost exclusively on the agriculture market. In the United States and Canada, high-precision GNSS receiver users are still willing to pay a premium for leading brand-name products and their dealer networks. You might think that there’s a lot of price pressure from the other brands. There is some, but some of the other brands are owned by the big boys. Trimble owns Spectra-Precision and Ashtech. Topcon owns Sokkia. Spectra Precision (here at Intergeo 2012) is owned by Trimble. For there to be serious price movement in the United States and Canada as there has been in other areas of the world requires more competition. I think we’re going to start to see more of that. I know you don’t want to hear this, but the competition for high-precision GNSS receivers is coming from China — and it’s serious competition. Chinese GNSS receiver manufacturers are already well-established in Africa, Europe, and Asia (of course). Their high-precision GNSS gear is coming soon to a place near you. What exactly is a Chinese-made GNSS receiver? Mostly, they are receivers made using the guts (GNSS receiver boards) from mainstream GNSS receiver designers like Trimble, Topcon, NovAtel, and Hemisphere. The Chinese companies buy these receiver boards and design their own cases, battery packs, and other supporting systems around the GNSS receiver board. The finished products, like the CHCNav X91, look much like what you see from Trimble/Topcon/Leica today, and it sports a Trimble or Novatel GNSS receiver inside, for fraction of the price you’ll pay for the equivalent Trimble GNSS receiver. Of course, you wouldn’t benefit from Trimble (or whomever) dealer network support, and you would be risking that the manufacturer has designed a reliable system around the GNSS receiver board. What happens if the receiver needs service? Where’s the nearest support center? Who do you call? These are all very valid questions that any prudent businessperson would ask themself before making a significant equipment purchase. Some of the Chinese manufacturers rely on low price to attract your attention and then offer minimal customer support. Others, like CHCNav, are addressing this by setting up regional centers around the globe for support and repair. Can they produce high-quality GNSS products that will meet the expectations of U.S. and Canadian buyers? The reputation of Chinese manufactured products in the surveying market is not very good. Will they have the staying power to hang on for a few years, long enough to gain the confidence of U.S. and Canadian users? In their favor is their home market. China is the largest consumer of high-precision GNSS receivers in the world. In fact, it’s been said that more high-precision receivers are sold in China than in the rest of the world combined. Even if that’s not an accurate statement, it’s not incorrect by very much. That tells you something about the size of the Chinese market for high-precision receivers. With a market that size, I think it’s safe to say that Chinese receiver manufacturers are gaining a lot of experience in designing and manufacturing GNSS receivers, and one can assume that the next-generation receiver design is better than the previous one. While they haven’t quite ventured into offering their own GNSS receiver designs (still buying GNSS receiver “guts” from established manufacturers), last week one Chinese manufacturer took a step closer to doing so. 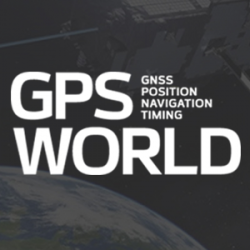 On January 31, Hemisphere GPS announced that Beijing UniStrong Science & Technology Co Ltd. is acquiring Hemisphere’s core GPS design/manufacturing business. Hemisphere has chosen to divest itself of all non-agriculture related businesses and rename the company AgJunction, the same name as a software company it acquired recently. Of course, GNSS technology is highly related to agriculture, and there’s no doubt that AgJunction will continue to use GNSS technology, but clearly the AgJunction management team doesn’t think it’s an important enough technology to have to own it. UniStrong is no stranger to the GPS/GNSS business and is no small fry. It’s been in business since the mid-1990s and boasts more than 1,000 employees, offering a wide variety of high-precision GPS/GNSS receiver solutions from handheld GIS receivers to full-blown RTK GNSS receivers. With this acquisition (US $15 million), it becomes the first Chinese-owned GNSS receiver design/manufacturing group in North America. Navcom, a subsidiary of John Deere, focuses on the ag market.